When world traveled veteran Brad Thorn says its bad, it’s bad folks! But in spite of this they ended 3rd, making the playoffs for the 11th year running. Very Tigers-esque. They were also the only team to beat Toulon in the European Champions Cup this season. However, that’s only one side of the story. They were exposed defensively against the bigger teams, and their attack looked blunt, scoring the 2nd lowest number of tries last season. They went out at the group stage of Europe (admittedly a tough group, with Toulon, Ulster and Scarlets) and got beaten heavily by Bath in the Premiership semi-finals. As previously mentioned though, a lot of this can be attributed to their injury problems. Leicester made the decision bring in Aaron Mauger back in October, however as he was contracted to the Crusaders wasn’t able to join initially the Super Rugby campaign was over. This also led to Paul Burke, the backs coach being sacked in October, which all in all meant that the season was very disjointed, with little continuity with the coaching. Step in Aaron Mauger. The former All-Black and fan favourite at Welford Road left his role as Crusaders assistant coach and has been made the Head Coach for Leicester this season. He’s also brought along Scott Hansen from Canterbury as a defense coach; positive signs so far. Mauger wants the team to be “full of aggression” without the ball, the current squad is good enough to be “lifting trophies” this year. A positive outlook from Mauger of things to come, especially with many fans viewing this season as a transitional one, with so many changes to coaching and staff. But so far it’s just talk. Whilst the right things are being said – we won’t be able to see the benefits till the season starts. With the World Cup players absent from the start of the season as well, it may take the team slightly longer to gel. Add to the fact that numerous key players for the Tigers, such as Parling, Salvi, Gibson and Allen are off or have since retired, it is hard to look away from it being a season of rebuilding at Welford Road. However with the new signings and players such as Slater, Williams, Camacho and Croft returning from long-term injuries, they will feel almost feel like new signings for Leicester. In their European Champions Cup Group they’ve been drawn with Treviso, Stade Français and Munster. Whilst it’s definitely not the easiest group there, having the Italian team usually means that a best runners up spot is up for grabs. The Tigers should be looking to make it out of this group, especially if they win their home games and pick up bonus point wins against Treviso. It doesn’t really instil you with much confidence. Having said that, Tigers backline is full of utility players, and whilst the likes of Goneva, Smith and Williams are able to fill the centre spots, their best positions are elsewhere, and placing them in the centres will leave them weaker elsewhere. Richard Cockerill has said that recruitment is not quite finished, so hopefully they can continue adding to their squad. Once the season is up and running, and barring a disastrous injury-crisis like last year, I can see Leicester’s result improving towards the end of the season, and making a last minute charge for the playoffs. 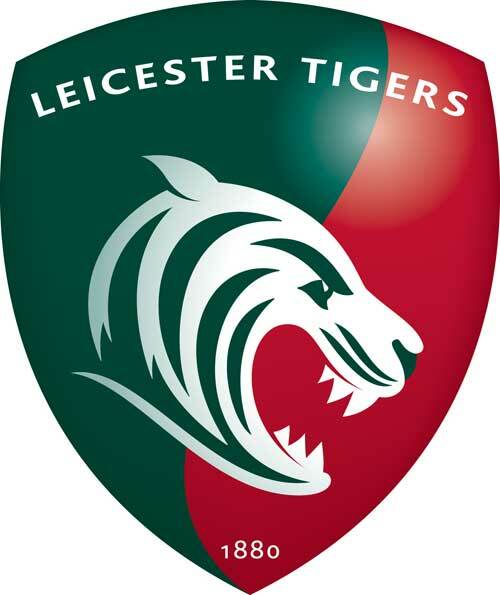 It will take time for the coaching to gel and for the changes to take place, but once they do, Leicester Tigers will be a force to be reckoned with. Front Row – Marcos Ayerza, Dan Cole and Tom Youngs. All current internationals and some of them it could be argued are some of the world’s best in their positions. Serious firepower up front and keeping these 3 fit will be key to Leicester’s season. Strength in Depth – The fact that an injury-plagued squad was able to finish 3rd last season tells its own story. Tigers strength in depth is something to admire and could be a huge factor towards the end of the season. Lack of Quality at 12 – With goings out and players retiring, Tigers have been left with a big gap to fill at 12. Hopefully before the season starts Leicester will have someone to partner Tuilagi in the centres. Players away on International Duty – As with a lot of teams in the Premiership, international call-ups will have a big impact on their squad this year. Whilst Tigers squad is one of their strengths, 11 of their players are in the wider world cup training squads, and would be detrimental to any Premiership team. The tighthead prop has firmly established himself as a starter for both club and country. Known for his scrimmaging ability and work at the breakdown, will be a welcome return to Leicester’s team after England’s world cup campaign has ended. 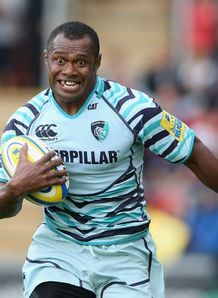 The Fijian flyer can play at wing or centre, and Leicester have relied heavily on his versatility since signing for them in 2012. Leicester will be looking to put last season behind them, and move back to the heights they are more than capable of. Aaron Mauger and co. have been saying the right things to impress fans, and if he can turn that into improved performances and results then Tigers will be near the top of the table come the end of the season.